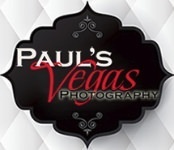 Paul’s Vegas Photography also provides onsite event photography solutions to the corporate market. Las Vegas is a vibrant and expressive city that operates 24/7; your event photography should effectively capture your brand and reflect that excitement. Or, simply document the success of your company and the event itself.